Preview 10:00am. Rain or shine our tents will be up. Guns, Hunting items, antiques, Honda four wheeler, zero turn mower, household furniture. 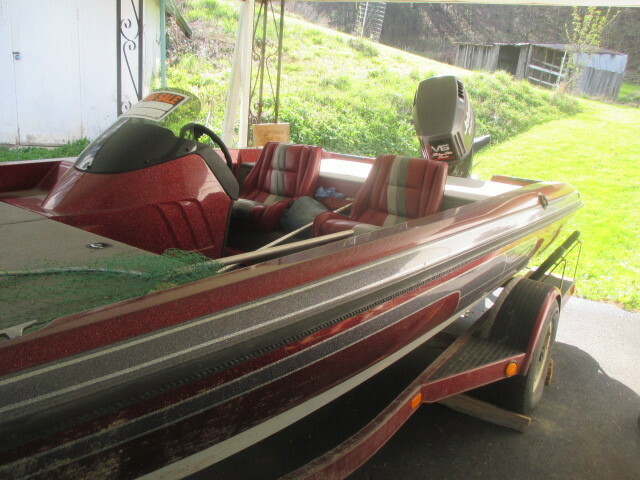 fishing boat, over 10,000 rounds of various ammo, presser washers, Troy-Bilt tillers,100 knives of important brands, Craftsman riding mower, flatbed trailer, freezers, upscale fishing equipment ,hundreds of sockets and hand tools, and much more. All guns and better small items will be kept at our auction gallery till the morning of the auction. Guns can be sold to in-state residents with no required paperwork. They can be sold to out-of-state bidders but must be transferred through FFL. I have someone that can do that for you for 25,00 on this end. compressor, tools and tool boxes, long and short guns ( no paperwork will be required), Black Sambo concrete statue, great fishing items, storage building full, pr of lyre tables, country tables, blanket chest, utility trailer, riding and much mowers, nice used furniture, wine making items, and much more. Lots of surprises!!!! We will post more photos the week of the auction. Cash or check 10% BP. All items sell as is and must be removed the day of the auction.